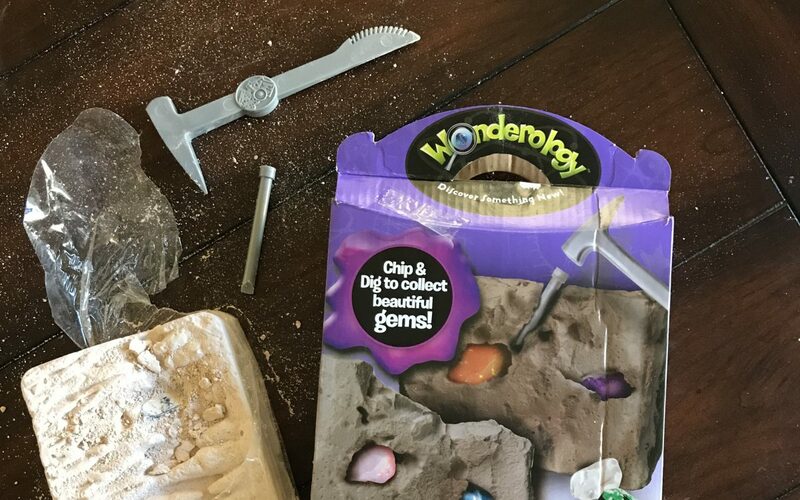 Wonderology Hidden Treasure Mining Science Kit is a geology kit that allows you to chip, dig, and collect various gems. This products is recommended for children ages 8+. This geology kit will teach you fun facts about gems and crystals all while you discover your own by digging them up. This is a great item for any child interested in geology or gemology. Geology is the study of rocks and physical processes of the earth in order to understand its origin and history. Gemology is the science dealing with natural and artificial gemstone materials. Geology – study of the rocks and physical processes of the earth in order to understand its origin and history. Use the excavation hammer and chisel to carefully chip and reveal gems. 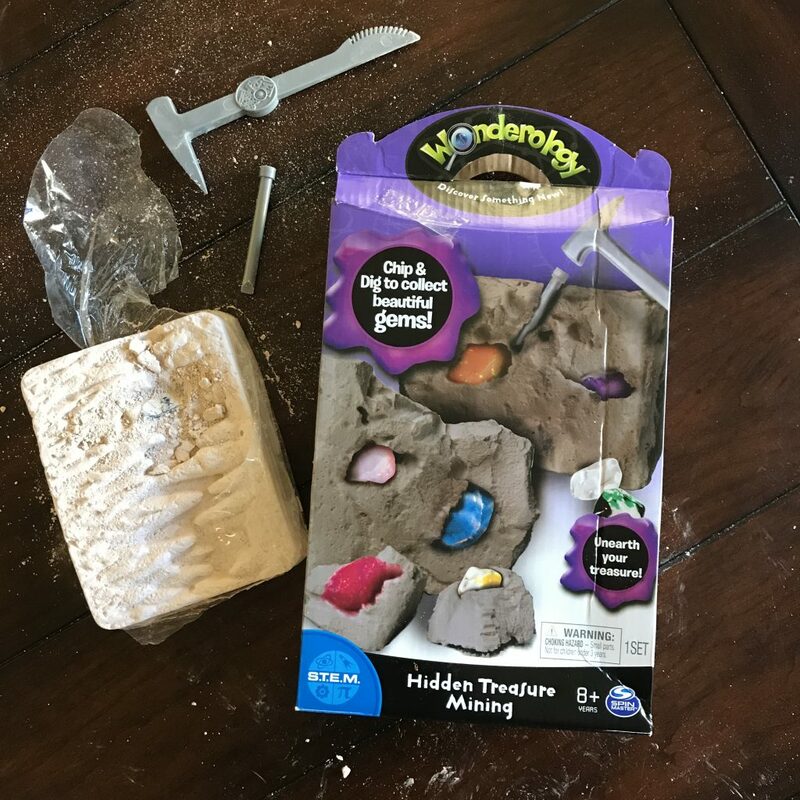 There are 8 gems included that your child will enjoy excavating from the plaster block. 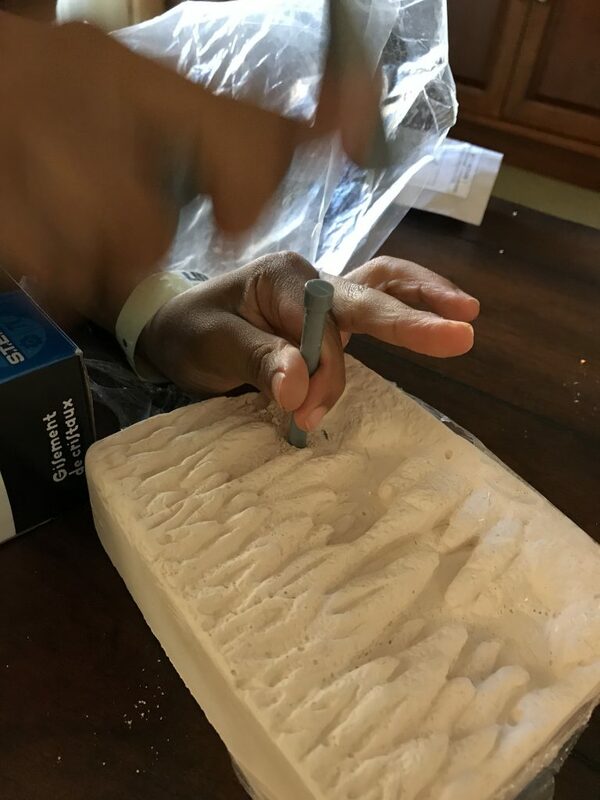 This is a great kit for any child interested in geology or gemology. Recommended for ages 8 and up.